Content marketing is revolutionizing how professional business services are building a more comprehensive presence on the web, positioning themselves as thought leaders in their industry, and generating new business opportunities. 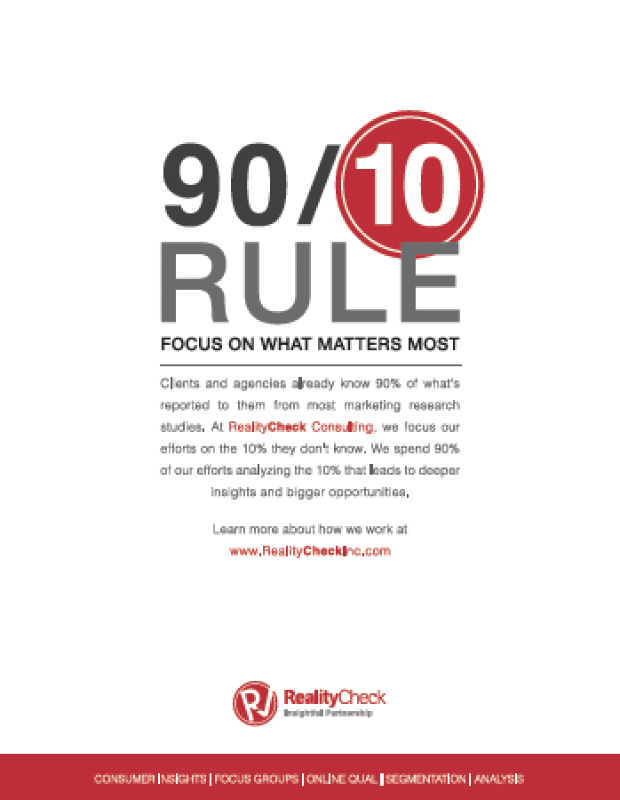 RealityCheck Consulting is a global insights boutique with offices in the U.S., Latin America, Australia, and Europe. They provide Fortune 500 companies with consumer insights and brand strategy. 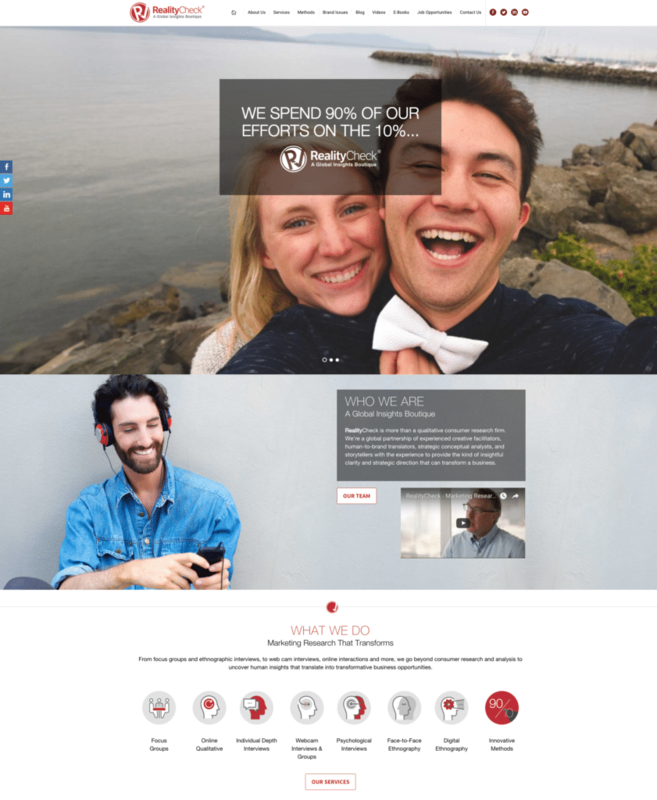 Simplified not only developed their website, but we also manage all their print and digital marketing campaigns including email, social, video, and advertising. It all started with a new website. Going beyond your typical ABOUT US and SERVICES pages, this responsive and SEO-friendly website features multiple videos, consultant profiles, a content-rich blog, and downloadable e-books. 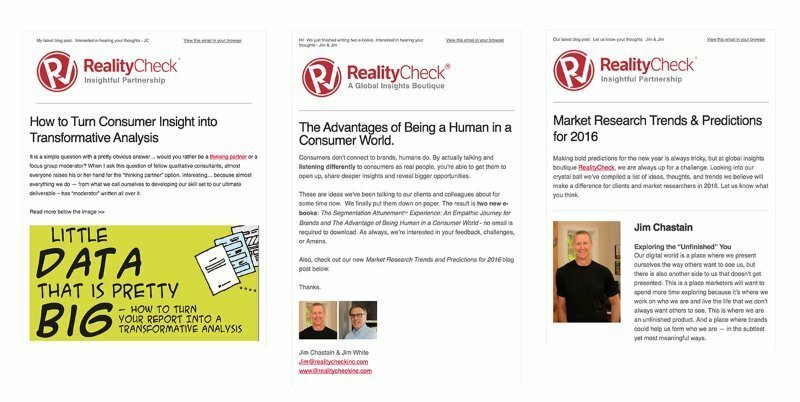 To help position RealityCheck’s consultants as thought leaders in the field of consumer research, Simplified developed a robust content marketing strategy including regular blog postings, a series of videos, infographics, and two e-books. The content is repurposed and distributed via multiple channels including email and social media campaigns. 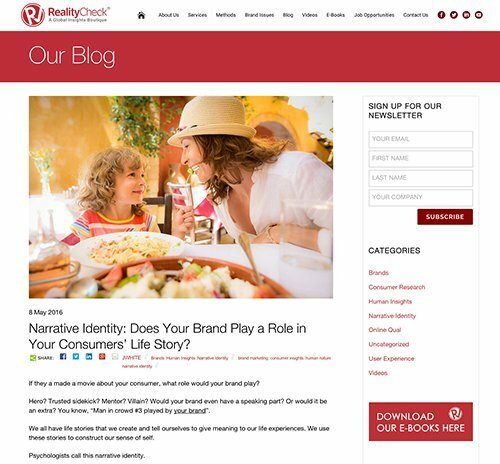 The RealityCheck blog is at the core of our content marketing strategy. All RC consultants contribute articles for publication and several blog posts have been picked up by industry websites for publication or have led to major conference speaking engagements. The SEO-friendly content has also landed several of the blog posts at the top of Google search listings. Read a recent blog post. 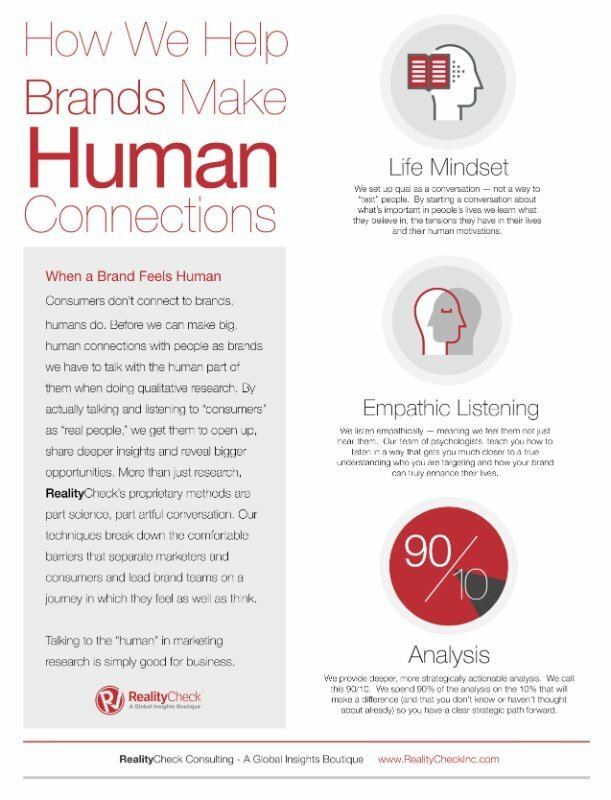 Simplified produced a series of videos and created a branded YouTube channel to help RealityCheck promote their thought leadership and services. Watch a video here. In addition to being featured on the website, a series of e-books were developed for both targeted direct mail and email campaigns to select key prospects. You can download the e-books here. Simplified negotiated and created several print ad campaigns for placement in the top industry magazines. We also create online display banner ads for online campaigns. Simplified creates and distributes monthly target email campaigns to promote RealityCheck to a segmented database of over 3000 people. Open rates are over 35%. – Bill Kamper, Partner at Simplified Solutions.